I recently re-read one of my favorite business books, “The HP Way” by David Packard. Billed as a description of how Bill Hewlett and Dave Packard built their company from a garage to a large multinational operation, the book both tells the story and reveals the secrets of Bill and Dave’s colossal success and how their innovative tech changed our lives. Bill and Dave were quite a team. Bill, who struggled with dyslexia, was the engineering genius behind many of HP’s early products in the signal generating and measurement field. Dave was the management genius who developed the core values that made how HP managed their business an inspiration and template for many other companies. Dave also articulated what he and Bill later called “the HP Way,” a set of management principles that guided and facilitated the amazing growth of the company. These principles included such things as striving for continual improvement in the quality and value of the products they produced for their customers; concentrating efforts by limiting involvement to areas of technology where they believed they could make a significant contribution through real technological innovation; providing employees with job security and opportunities for advancement and recognition; maintaining an organizational environment where employees feel free to take initiative and offer honest feedback; and emphasizing growth and maximization of profit as requirements not just for success but simply for survival in an increasingly competitive technological world. Yes, that’s right: That last principle of maximizing profit was also one of the pillars of the HP Way. In that regard, HP really wasn’t all that different from another famous tech company: Apple. And how did HP manage to maximize their profits to the point that for decades after they started they could plow back their earnings into the company instead of taking out loans from the banks? Simple: their products were so good compared to what the competition offered that they could charge premium prices for them. Sounds familiar, Apple fanboys, doesn’t it? Take the HP-35 for example, the first truly revolutionary handheld programmable scientific calculator and the source of grief for all those companies that used to sell slide rules. As an honors physics undergraduate in college, I still remember forking over a couple of hundred dollars to buy one of these babies shortly after a visit to our class by one of HP’s sales representatives showing off this brand new product. 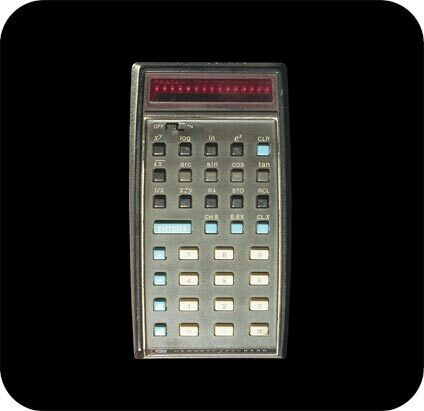 Not only did I toss my slide rules in the trash bin after I started using it, but I also waited eagerly when I could upgrade to their next calculator the HP-45 even though it almost broke my poor student budget to buy one. And in the years that followed I upgraded to the latest version again and again. Sound familiar, iPhone lovers? But it took courage for HP to get into the calculator business. HP’s core business at that time was still in developing electronic instruments for measurement and industrial production. In the mid-60s HP sales were entirely due to such instruments, and to stray out of this area of focus could mean wasting valuable resources instead of plowing them back into the company. Meanwhile, companies like IBM and DEC were making and selling mainframe computers. HP initial considered getting into the computer business as a way they could complement their electronic measuring devices by allowing them to be controlled in a programmatic manner and have their output processed and formatted. So Packard started visiting computer companies to get ideas for what HP should do. One of the companies he visited was Wang Laboratories which was also designing an electronic calculator, but he “decided at the time it would not be desirable for us to get involved in electronic calculators” and focus on developing mini-computers for HP that could automate the operation of their electronic instruments. Then a bright young engineer named Tom Osborne visited HP in 1966 with a proof-of-concept demo of a typewriter-sized electronic calculator. 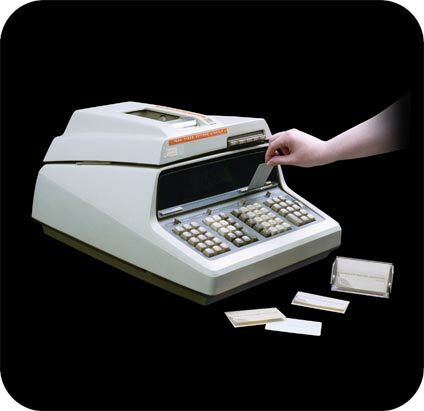 Bill and Dave finally saw the light and decided to commit company resources to target this new market, and two years later the result was the HP 9100A desktop calculator. This was a huge success and led Bill to issue a challenge to his engineers to develop a similar calculator that could fit inside a shirt pocket. Hence, the HP-35 and its successors. 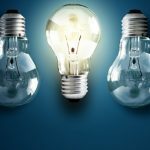 It took courage to commit time, money, and personnel to the development of an entirely new class of products that might or might not take off in the marketplace. It also took courage to try to do something most people thought couldn’t be done: put the power of an electronic computer in a device small enough to fit in one’s pocket. Contrast this with the so-called courage Apple exhibited by removing the ubiquitous 3.5 mm headphone jack from their iPhone two years ago? The hackles from that decision, which was obviously motivated by fashion not function — or more cynically, to artificially boost their profits — are still continuing. Are you listening Microsoft? I’m changing gears now because I’m a long-time Microsoftie by heart and occupation, but I want to get a message out to Microsoft if they’re listening to any of this. And now my message to you, Microsoft, is this: You need courage too. Not the Apple iPhone headphone jack removal fiasco type; the good old-fashioned HP kind of courage. You need the courage to start listening to your customers and not just repeating that you listen to your customers. I’m talking about Windows and what you’ve done with it lately. 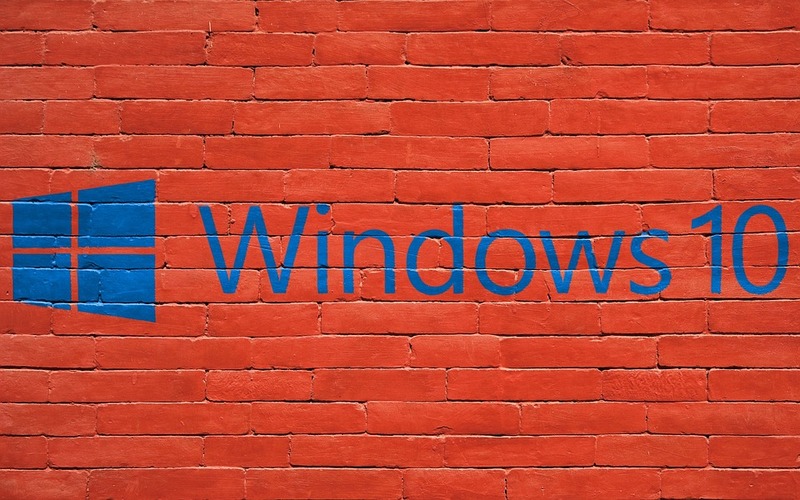 Problems with Windows patch management have reached crisis proportions with patches causing numerous problems on customers’ machines after they are applied. I’ve tried to remedy this situation with advice like this and also this because of the enormous pain customers experience due to what appear to be clear deficiencies in Microsoft’s quality assurance processes concerning the software updates they release for Windows. Enterprise customers are also frustrated by Microsoft’s changing messaging concerning their release timetables for different versions, flavors, and channels of Windows. Businesses need stable, predictable environments to best succeed, and Microsoft seems incapable of delivering this. What’s the solution? You might start by rehiring all those software testers you fired four years ago instead of leaving it to your customers to shake the bugs out of your software. But that probably wouldn’t help at this stage, it’s just too little too late. The only viable answer at this point might be for you to spin off Windows into its own separate company the way HP spun off its electronic instruments division as a separate company from itself called Agilent Technologies in 1999. That spinoff has been highly successful with Agilent’s stock market value rising steadily since 2008. I attribute the reason for this success to the fact that Agilent had “innovating the HP way” as their slogan when the company launched and they’ve kept true to that historically successful culture in the years that followed. Microsoft, on the other hand, seems to have abandoned all interest in Windows as a traditional client operating system platform for home users, small businesses, and large enterprises. Instead everything is now about the cloud and Windows everywhere, Windows on all devices, Windows as a virtual desktop running on Azure — everything but Windows humming along happily without problems on that box under your desk, that box that businesses both small and large still rely upon to a large degree for earning the revenue they need to survive in this competitive world. I think that with every new Windows version they think less and less about the end user. Last week I had the misfortune of installing an update to the Win 10 on my laptop. After that I had to spend about an hour finding out which programs they had secretly changed from my preferred default to the ones they think I should have. Hope one day they will start to treat better their customers.